Too many job descriptions fail to accurately portray the type of skills and profile needed to become a successful Product Manager (PM). Truth is that good product management requires a broad and complex set of skills that can be hard to fully define or screen for. Through personal experience, I’ve developed a simple framework that can be used to quickly identify the quintessential traits of a successful PM. In a nutshell, there are three essential personas: The Diplomat, the Detective and the Warrior. The best PMs either embody all three (rare) or they can learn to take them on based on the situation being faced. The Diplomat PM is people oriented. He/she helps ensure the products stay on track by keeping everybody aligned and collaborating. They cultivate a network of internal and external allies and encourage openness and exchange. The Diplomat promotes good organization, hosts friendly yet purposeful discussions among team members, defines clear objectives and, very often, identifies compromise solutions, but always with the welfare of people in mind. He/she is relationship oriented. The Detective PM is highly detailed oriented. He/she is methodical and curious about discovering the truth. They seek it through facts, data, studies, research and empirical evidence. They are not afraid to roll up their sleeves and get into the minutia if it means uncovering an insight. While they may appear cold and removed to some, they are really trying to be impartial and not let emotions affect their work. They are detail oriented. The Warrior PM is, by definition, a fighter. He or she stands up for what they believe and argues/communicates it in a direct and passionate way. They are strong-willed and determined. They can be natural leaders through the force of their convictions. The warrior is full of vision, energy and intensity. They are competitive and will roar against delays, inertia and bureaucracy. They break through barriers and problems. They are action oriented. Each of these personas has it’s own set of strengths and weaknesses. None is better than the other. They are just better suited to some situations than others. Let’s also be clear: finding someone who naturally or instinctively exhibits all three personas (and in the right contexts) is not common. Most of us have a tendency to fall into familiar behavior patterns, usually one of the three personas. That’s our “natural” state. Pressure and stress, however, can also cause us to take on a different style or persona. For example, a mild mannered Detective type could, under intense pressure, turn into a fierce warrior. Recognizing the different personas and understanding their dynamic nature is an important part of a Product Manager’s journey towards excellence. Different work environments and projects may call for more of one persona style than the others. And that’s perfectly fine. The key is recognizing what the immediate situation calls for and to pull the right persona style out of the PM bag of tricks. If you are applying for a PM position, think of the 3 personas and highlight how you are able to switch between the three even if your natural state may pull you more towards one of them. Meanwhile, managers can also use this framework to craft more insightful questions for interviews with candidates. Andrew Hyncik is an International Strategic Marketing & Product Development veteran with 20 years of experience in the MedTech, Healthcare and Pharma industries. 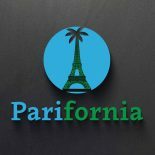 To read more articles from Andrew, visit or subscribe to Parifornia.com : Insights in international marketing and business. This entry was posted on September 28, 2016 by Andrew Hyncik in General, Management, Marketing, Medtech and tagged business skills, Employment, management, marketing, Marketing Strategy, product, research, strategy.